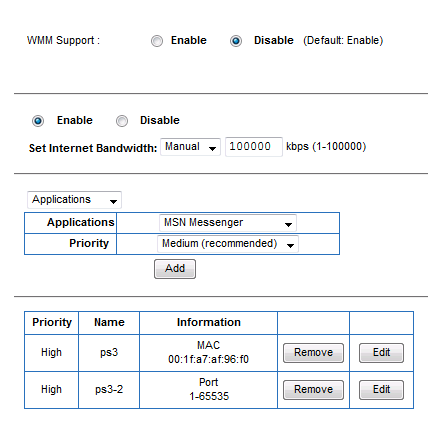 how can i use all my bandwidth ? Your upload speed is rather slow. Looks like your ISP gave you only enough upload speed to handle when your downloading. When you download files you upload data back so the server knows what to send next. So if anything is using any of the upload your ping is going to suffer. You need faster upload speed bud. Less than half a mbit is only 55 kb/s. Try the test again with nothing using the internet connection and see what ping times you get. Your upload speed is very low. Also depending on how good the connection is with your ISP will really determine how bad your pings get. Not a lot you can do on your end, the problem isnt on your side.